These requirements do not follow the constitutionally entrenched principle of sustainable development, which provides that the environmental impacts and costs of implementing the requirements must be weighed against the socio-economic benefits a mine can produce. One such example is the Department of Water and Sanitation’s (DWS) blanket approach over the last three years in requiring mines to install lining systems for mine residue deposits and stockpiles (MRDSs) as a condition to obtaining a water use license (WUL), even if the MRDS are not hazardous and will cause minimal impact to water resources. The costs of such lining systems can amount to millions of rand and could result in mining projects being economically unviable, and the loss of the mining project’s socio-economic benefits. The DWS has recently agreed to provisionally apply a risk-based approach when processing mining WUL applications (WULAs), which will offer temporary relief to a financially stressed mining sector. Representations made by the Chamber of Mines influenced the DWS’s decision to alleviate the challenges faced by the mining industry and caused by its blanket approach. The National Environmental Management: Waste Act, No 59 of 2008 requires the Minister of Environmental Affairs to set national norms and standards for, among other things, waste storage, and the planning and operation of waste disposal facilities. National Norms and Standards for the Assessment of Waste for Landfill and National Norms and Standards for Disposal of Waste to Landfill (collectively Norms and Standards) were published in August 2013, together with the Waste Classification and Management Regulations. The Norms and Standards set stringent requirements for the design of containment barriers for landfills included in applications for waste management licenses. The DWS sought to extend the applicability of the Norms and Standards beyond the intended scope, making WULs under the National Water Act, No 36 of 1998 conditional upon installing lining systems as containment barriers for MRDSs. This catch-all approach is problematic, as it fails to have proper regard for the actual impact of the MRDS on water resources and whether the MRDS constitute waste. The approach has also been criticised as the Norms and Standards were drafted for landfill disposal containing waste material that can, in nature, differ significantly from mineral waste. 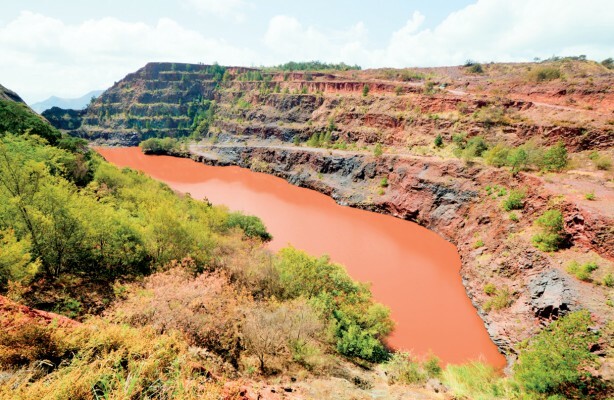 The incorporation of the Norms and Standards into the WULA process therefore resulted in significant wasted costs, where MRDSs did not adversely impact on watercourses and caused significant negative financial consequences for the mining sector. The frustration of the mining sector was evident when Aquarius Platinum brought a high court application in 2015 seeking the review of the DWS’s reliance on the Norms and Standards. Aquarius Platinum had applied for a WUL to deposit tailings generated by its mining activities into a pit. The DWS refused to grant the WULA unless a lining system was installed. The court’s focus was, however, directed to an alternative issue and it postponed the review proceedings on the lining issue. The application therefore failed to provide certainty on whether the DWS can apply its blanket approach. During the course of this year the Chamber of Mines has met with DWS, proposing the application of a risk-based approach when processing WULAs relating to MRDSs. According to the DWS the “Chamber of Mines illustrated the occurrence of unintended consequences when applying norms and standards for landfills to MRDS material”. The DWS therefore made the decision to, on a case-by-case basis when processing WULAs, consider whether alternative proposed barrier systems will prevent water resource pollution and have the equivalent effect of the barrier systems prescribed in the Norms and Standards. The decision will have interim application, as the DWS recommended that the Department of Environmental Affairs amend the regulations relevant to MRDSs to ensure alignment of decisions between the two departments. 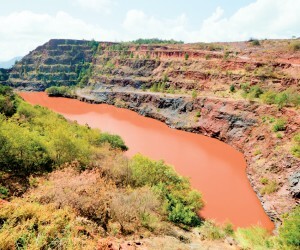 The temporary relief is nevertheless to be welcomed by the mining sector, as mines are currently free to employ a more suitable and cost-effective approach in preventing pollution of water resources by MRDSs. To further the discussion about precious water in mining, fracking and beyond, Gregory Simpson caught up with the knowledgeable Deputy Minister for Water and Sanitation, Anil Singh in Cape Town recently. How are you making legislation more up-to-date and streamlined to increase investments? The important thing is that the legislation must not become too burdensome, it must not be too costly, and it must not drive away investors. While we have to have the balancing act between protection of the environment and water resources, we certainly need to attract investment. So this legislation is simplifying the compliance and regulatory burden for future investors. When we simplify it, it obviously means that they will be able to comply with it and the cost of compliance will be reduced. Compliance is a big word; do you see a lot of companies taking that seriously? Yes, the culture of companies complying has increased because companies want to be seen as responsible corporate citizens. If you look at instruments like the King’s Code of Governance, sustainability is one of the issues but there is also a culture of compliance, a culture of complying with laws that are reasonable. How can we sustain our water resources for generations to come while still turning a profit? South Africa is obviously an arid country, we have the 33rd driest country in the world, what we need to be looking at now is protecting the water resource; because once the resource is destroyed the resource is irreplaceable. The cost of water in South Africa is very cheap, but in order for people to realise that water is a precious commodity we have to raise the cost incrementally to our tariffs but at the same time it will still be affordable. In South Africa we have a situation of having the water allocated already, to agriculture or to industry or for domestic purposes and then we have to balance that. You certainly can’t have a community not having water while the business that is a local abattoir, for example, in the rural communities is using a lot of water to clean the abattoir – so it’s a balancing act in everything that we do. Underground water almost seems like the Wild West because it’s hard to legislate; how can we protect those water supplies? The underground aquifers are protected because they’re a water resource. For example, the issue of fracking – if South Africa is given the go ahead for fracking, which uses a lot of water, we will have to declare no-go areas, where you’re not allowed to frack because if you do frack you’re going to damage the underground aquifers and the fishes, and those are irreplaceable. We have a proclamation that will regulate fracking as one of the future industries in South Africa. If there is even a remote chance that underground water is going to be contaminated through fracking fluids, etc, then we will not give the go-ahead, and those areas will be declared as no-go. Do you feel fracking can be done in a sustainable way? Well we have to look at the Americans, we have to look at the Canadians, and we have to look at what the Australians are doing. We are certain that it can be done in a sustainable way but the main thing is for the companies that are fracking to appreciate that this resource is the most precious of all our national resources. There is an appreciation of that, and with the regulatory regime we will be able to manage how they frack in a sustainable manner. And assuming it all goes through successfully, what would that increase in gas mean to the economy and would it move away from a coal-based economy slightly? Because the yields that are being projected are quite significant it will actually make our economy less reliant on coal. Coal is not the future, renewables are the future, bio-fuels, all of the conventional and unconventional gasses – if these can contribute significantly it will make a huge difference and will lessen the load on Eskom. And mine closures now compared to 20 years ago, how much more environmentally friendly is it? There’s been a lot of work done on the best practices in mine closures by companies like Digby Wells, who have developed best practice tools. Companies are not just walking away, there is a proper rehabilitation plan, there’s proper planning that goes into it together with us as the government regulators. If we look at all the companies buying the best practice tools for mine closures and rehabilitation, a lot has been done in the last 20 years. I’m pleased to say that companies are taking sustainability and all of these issues much more seriously, whereas in the past it was just an ad hoc by the way kind of thing. And as we move to more mechanisation, how can we do that in a sustainable manner? Well mechanisation is a reality, but the mining business is labour intensive, so you will find that there has to be that balance between mechanisation and using labour. There’s obviously room for them to co-exist and not necessarily for there to be conflict.